Looking for classic and elegant blown glass wedding gifts that will “wow” the bride and groom? Why not give a timeless treasure of blown glass that a couple can enjoy for many years to come. Browse through this delightful selection of blown glass wedding gifts for just the right one. So many colors, shapes and designs to choose from, all with beauty in mind. Each item is hand blown and therefore one of a kind. A contemporary hand blown water decanter perfect for everyday use or a fancy dinner party. While not in use, this decanter also becomes a gorgeous work of art ready for display. My personal favorite is the deep rich blue, but there is a nice assortment of other beautiful colors to match everyone’s tastes. Each decanter is one of a kind and with the striking color selection, it makes a lovely decorative and functional gift. Luxury in a vase is how I would describe this grand gift. After all, it is made of blown glass, has a beautiful array of colors and sparkles to top it off. The colors are what had me at first look. Instead of choosing a vase to complement a room, this vase could be displayed in so many rooms! Filled with fresh flowers would be lovely and as a stand alone art piece would do this vase well. Isn’t this absolutely delightful? The colors are so beautiful! When I think of the best in expertly hand blown glass, Murano comes to mind. 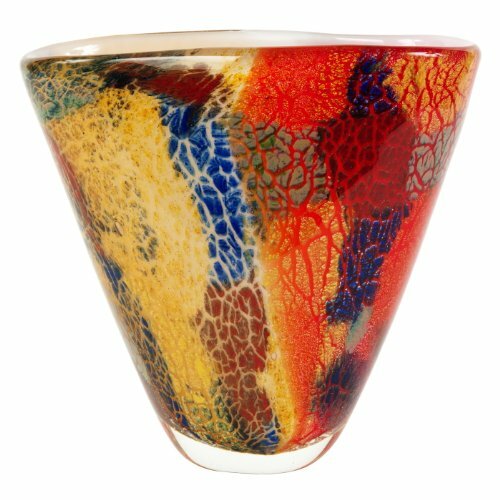 Beautifully made in Venice, Italy, this artistry is known for some of the finest glassware and collectibles. Each piece is unique and thoughtfully made with delicate details. One of the glass wedding gifts that will always be remembered. The blend of color in this exquisite Murano glass sailboat is outstanding. Anyone who loves and appreciates hand blown glass or sailing will consider this a lovely art keepsake. The beauty of this art piece is how the glass resembles an actual sailboat perfectly skimming across the water and glowing in the sunshine. A grand object flowing through clear blue water in all of its majesty. Picture this delicate sailboat on an entryway table, a bookshelf or as a gorgeous stand alone piece on a side table. A beautifully made free blown glass lamp sure to be a treasured family piece for the bride and groom. 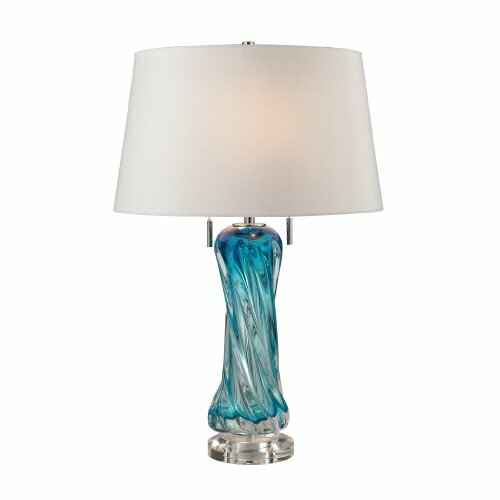 If you are searching for blown glass wedding gifts that may be a tiny bit over the top, this lamp is it. A true work of art that is also functional and meant to be used enjoyed. Can’t you see this inspiring lamp as a focal point and a conversation piece? Some really beautiful and unique wedding gift ideas. Great post, thank you. 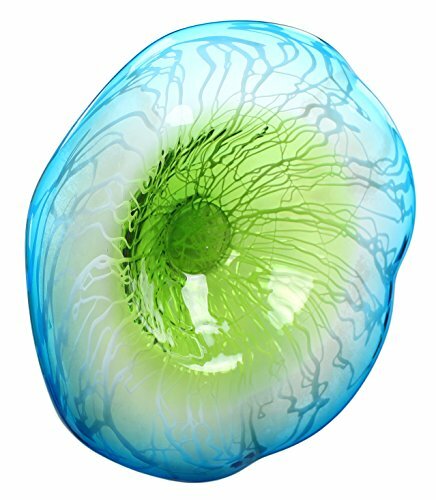 I think that blown glass makes for stunning decor around the home. The sail boat really stands out to me because I love a nautical theme. What a great idea for wedding gifts! The hand blown table platter is my favorite! Great colors ans a really good conversation piece!